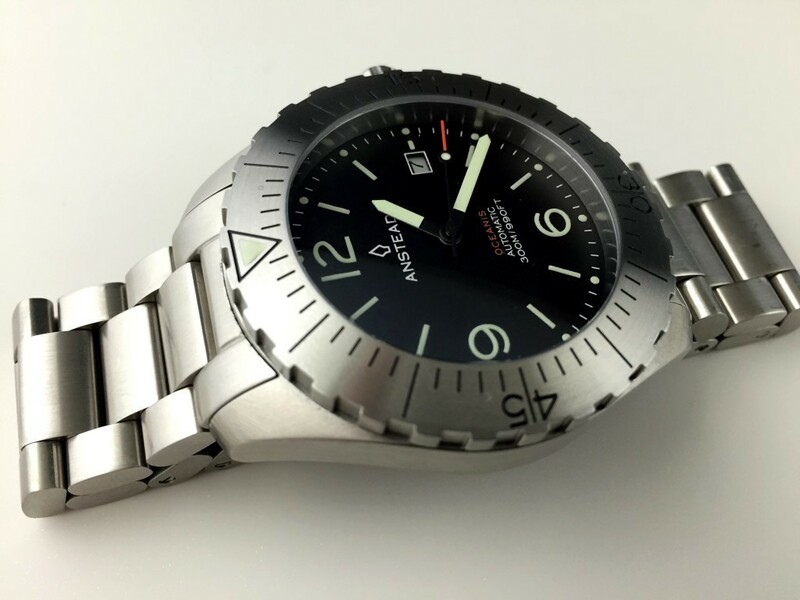 Today we get to take a look at the Anstead Oceanis – a dive watch that that is currently selling for $499. 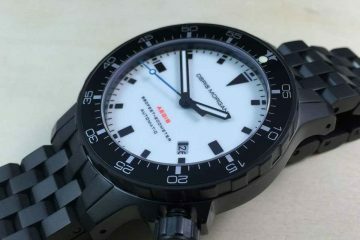 While the Anstead is technically a dive watch, I feel it is a great all occasion watch whether in the ocean, the office, or just your everyday watch. This is technically the second version of the Oceanis, or the evolution of the first model. Many might remember that model or still own one, and it was a great watch at a very affordable price that was funded through Kickstarter. For the second version, Thomas changed the bezel and crown design by adding crown guards, a slightly domed sapphire crystal, upgraded to a Miyota 9015 automatic movement, and also added a solid link stainless steel bracelet with ratcheting extension clasp. I cannot compare the two versions as I never saw the first model in person, but I can tell you that this Oceanis has a lot to offer – especially at its current sale price of $499. 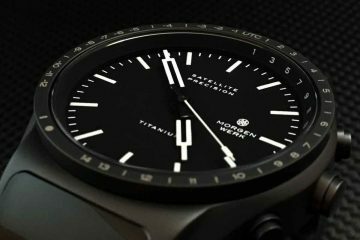 The construction – domed crystal, smoothness of the crown/bezel, and just the overall look has really made the Oceanis a watch that is hard to take off the wrist. 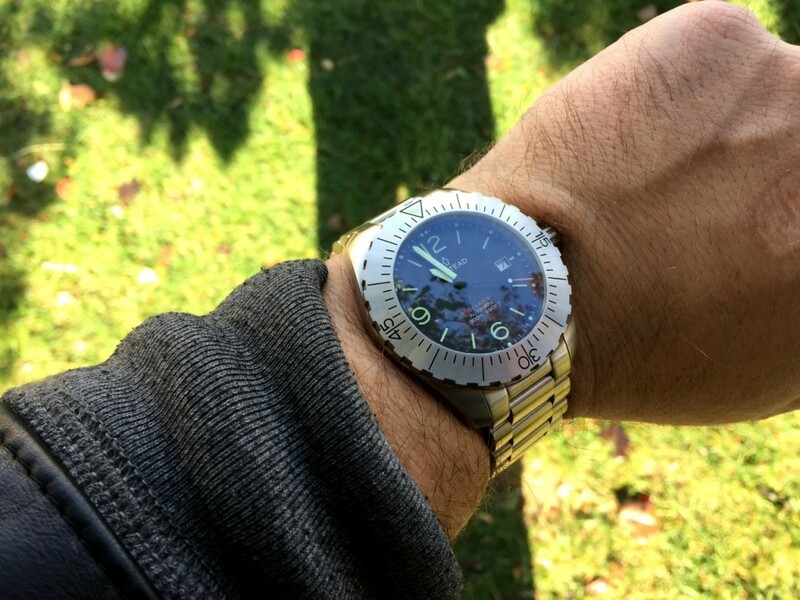 I have heard some compare the Oceanis to a few different watches, but I really get a Kobold Seal and an Omega Planet Ocean feel from the watch. If these two watches were to mate, the Anstead Oceanis would be their offspring (I am not saying that was Thomas Anstead, owner of Anstead watches, intention with this model). 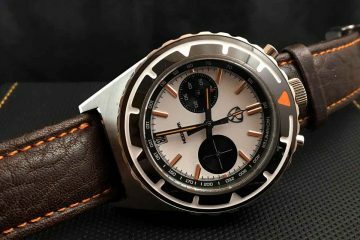 It is difficult to produce a watch these days that will not have characteristics of others, and beyond that, the Oceanis is not a homage or copy of any one watch either. The Oceanis has a style all its own, but you can see the elements of those I mentioned above, and I do not consider that to be a bad thing. These days, I have to be honest; there is almost no end to the amount of new brands popping up in the market. Many of them are good watches with passionate brand owners behind them. This is one of the reasons for sites like WatchReport, to help give the good, the bad and the ugly…helping you make a decision on what watch is right for you. Fortunately, there is no bad or ugly when it comes to the Oceanis. The 44mm by 51mm case is really the perfect size (for me) for everyday wear. I can go smaller or larger of course, but this is one of those perfect sizes that can be worn no matter what the occasion. Being 13mm thick, or should I say ‘thin”, in a world of divers that seem to get chunkier all the time, the Oceanis is a nice change of pace. Is that the same bracelet as on the Prometheus Manta Ray? Hello my apologies for just seeing this comment..I don’t get notifications of replies. It is not the same bracelet. The Manta Ray bracelet is a completely different link style with hex screws. The only thing that is the same is the clasp, which about 10-15 brands are using a variation of, if not more at this point.